Now the withdrawal agreement has been endorsed by the European Council, and the political declaration approved (the latter not needing ratification), the political classes are beginning to wake up to the enormity of disaster brought about by Mrs May's incompetence. Any idea that the EU and its Member States are going to give us an easy ride over negotiations on the future relationship has been dispelled by French president Macron linking the UK's position on fishing rights with progress on a wider trade deal, leaving us "trapped in a customs union" after Brexit unless Downing Street offers European fishermen full access to British waters. As an aside, though, anybody who was expecting fishing to be resolved quickly and easily quite obviously hasn't been keeping up. As I pointed out last April, the Commission published a Notice to Stakeholders which set out some home truths on where we stand on commercial fishing in a post-Brexit world. Crucially, as a third country (and that applies with or without a deal), access to UK waters by vessels carrying EU Member States flags comes under the aegis of Regulation (EU) 2017/2403". On the other hand. UK-flagged boats wishing to land catches in EU Member State ports fall foul of Regulation (EC) No 1005/2008. And then, of course, there is Council Regulation (EU) 2017/2403. In short, this means that a post-Brexit UK will get direct control over its waters, but it will not be able to do deals with other EU Member States. UK vessels will not be able to land fish in EU Member State Ports and we will not be able to export fish to the EU without submitting to the Commission for its approval of a fisheries management plan. Furthermore, if we want to invite EU boats to fish in UK waters – whether on a reciprocal basis or through other schemes, an EU-approved management plan must also be in force, rather limiting our scope to develop an independent fisheries policy. Then there is also the matter that the bulk of UK fishing quotas are owned by foreign enterprises, while we will also have to take into account any acquired rights, when allocating fishing effort. These points alone, in one small sector of the UK economy, will provide endless opportunities for prolonged squabbles in Brussels. And if the goodwill is not there, one can very easily see the negotiations running into injury time and left unresolved by the end of even an extended transition period. Since EU Member State leaders are well aware of the UK's weaknesses, it will need a brave man (or woman) to be confident that the talks will run smoothly, to time, ending with a balanced agreement that will enable us to escape the grip of the "backstop". It is doubtless the dawning realisation that we have been so heavily shafted which has sundry politicians belatedly scurrying around looking for a magic "Plan B" which will get themselves off the hook on which they have allowed themselves to become impaled. High on that list is the Efta/EEA, aka "Norway" option. The latest convert is the DUP's Arlene Foster, who is now speaking warmly of its adoption UK-wide. She sees in it a way of preventing Northern Ireland being treated differently from the mainland, thus providing an alternative to the "backstop". Several DUP "insiders" are involved in the "conversation", with dark rumours of chancellor Philip Hammond working up details with his Treasury colleagues in order to show how much better the option is compared with Mrs May's deal. Oddly enough, the option was not brought up when foreign secretary Jeremy Hunt was interviewed by Andrew Marr yesterday, even though Marr – when interviewing Arlene Foster - had referred to the so-called "gang of five" Cabinet ministers who are also talking about it. This has the issue-illiterate Tom Newton Dunn burbling in The Sun about Amber Rudd and Michael Gove plus Labour rebels forming a "cross-Brexit alliance" to push for membership of Efta. The idiot Dunn tells us that the four current members of Efta are Switzerland, Norway, Liechtenstein and Iceland and, under this new "washes whiter" idea - dubbed "Norway Plus" – the UK is supposed to join Efta "to maintain economic stability for a temporary period of a few years while the Government negotiates a full free trade deal from a stronger position". Only much further down in the story do we see a reference to June of this year, when 76 Labour MPs voted in a failed Commons bid for Britain to remain in the EEA "which Efta membership delivers". One must assume, therefore, that references to "Efta" are also taken to mean Efta/EEA (which will be without Switzerland). This would now seem that additional numbers are falling behind the failed plan championed by Tory MP Nick Boles – already rejected by Norway – just as he himself has abandoned it. He has graduated to the view that we will need to sign up to the withdrawal agreement and then "make an indefinite not temporary commitment to the EEA in the Political Declaration". Once we are in Efta/EEA, he says, the backstop will fall away. Although some might think this is progress, that actually drags us back to about six years ago when we concluded that this was not a satisfactory solution, not least because it would not attract sufficient support. The essential point is that the EEA Agreement is fundamentally flawed, with the promised right of co-decision having been removed by Jacques Delors during the ten-year negotiations, a move which nearly scuppered the talks and, to this day, renders the Agreement sub-optimal. Although the Efta/EEA option is the least-worst solution for a managed Brexit, without co-decision it is not a long-term sustainable solution. Thus, having gone round the houses, Nick Boles is back where we were six years ago. He appears to have no idea of what's involved and is merely attracting support like flies to rotting meat. His supporters have no more idea of what they are embracing than he does. This is like playing snakes and ladders on a grand scale. The moment we make any progress with Efta/EEA, up pops another "snake" and takes us back to where we started. There are now multiple latter-day variations on the go, and none of them have been properly thought out. It sometimes seems as if politicians can't resist the temptation to re-invent the wheel, seeking to take "ownership" of it, not dissimilar to animals marking boundaries. Instead of building on existing work, each time the option comes up we end up starting from scratch, repeating the same errors. And it's not as if the latter-day inventors are even talking to each other. Each creator is nurturing his own "child" in grand isolation, expecting everybody else to bow down and adore their "brilliance" - until, of course, the next one comes along and we all have to start again. What is so important about this is that the Efta/EEA option cannot be regarded as a "quick fix", and nor is it acceptable to use it as a temporary parking place while we look for something better. It is an intolerable arrogance to expect existing Efta members to accept this. Looking at the broader issues, we were looking in detail at the Efta/EEA option about six years ago. When it came to writing Flexcit, we concluded that the option had to be treated as an interim solution, but on a 10-20 year timescale. We anticipated working with Efta members to widen out the Agreement to create a genuine, pan-European trade area. We aimed to free it from the grip of Brussels and have it managed by Geneva-based UNECE, with co-decision at its heart. This was a considered view that has gained considerable traction, not least because it builds on the process of globalisation which is already well-advanced and which has the EU already ceding much of its legislative agenda to UNECE. The reform agenda gives the Efta states an incentive to admit the UK to its ranks, whence they benefit from its additional leverage. Understandably, we take a protective view of this scheme but, in the final analysis, it doesn't matter who makes it work. Flexcit was crowdsourced and Efta/EEA belongs to no one. What does matter is we need to see an end to the succession of people trying to re-invent the wheel and making a mess of it, instead of building on what is already there. For any Efta/EEA option to succeed, it must be intellectually coherent, practical, attractive to existing Efta states and be set in a sensible negotiating timeframe. It is wholly unrealistic to expect the package to be negotiated in less than 2-3 years and even then it will have to be augmented by a number of bilateral EU-UK treaties. In these, an agreement on VAT will have to feature prominently. Clumsy handling of a half-baked version will engender unnecessary resistance and do more harm than good. Yet, all we are seeing is a succession of politicians making baby steps, none of them capable of getting past the starting point and developing the basic idea into a workable scheme. A huge amount of work has been done on validating the Efta/EEA option, and particularly in respect of freedom of movement and the role of Article 112. If the selfish prima donnas can't get their egos in check and take advantage of it, they stand to destroy the very thing they are purporting to promote. This is too important for playing games. 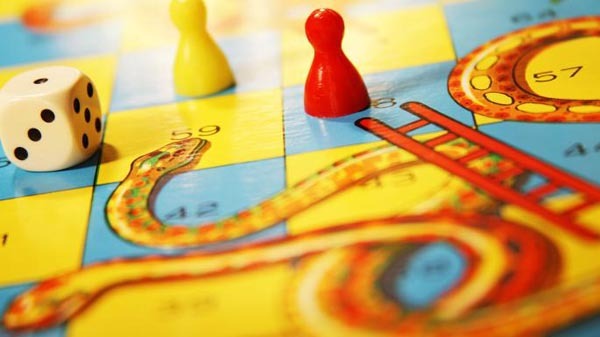 We need to leave the "snakes and ladders" board in the nursery.